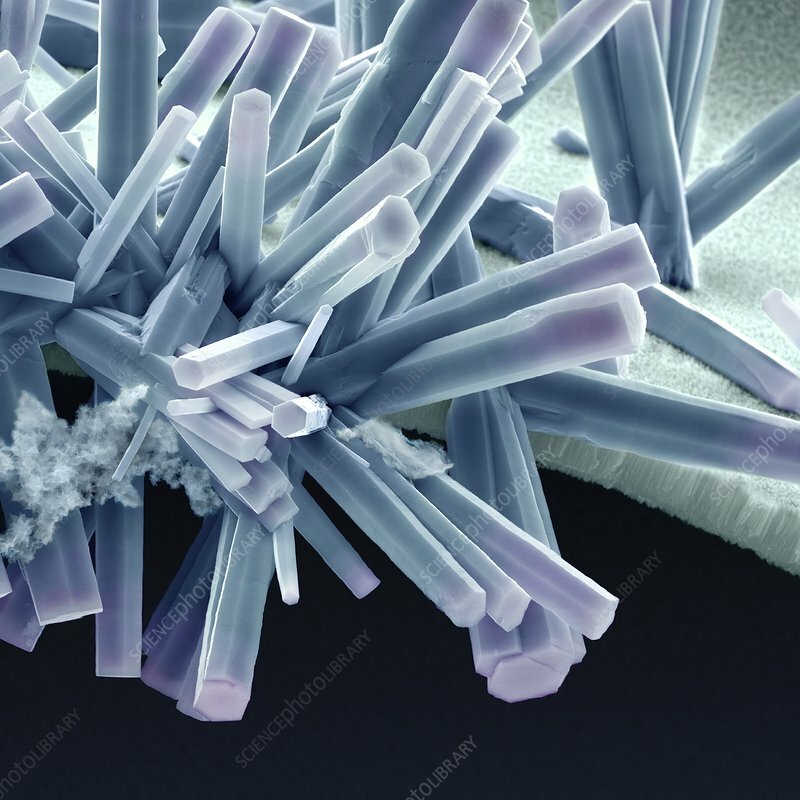 Coloured scanning electron micrograph (SEM) of zinc oxide (ZnO) crystals grown on an anodised niobium oxide (Nb2O5) film. The crystals have been synthesised using the hydrothermal method in an attempt to increase the efficiency of dye sensitised solar cells. Research by Rozina Abdul Rhani.